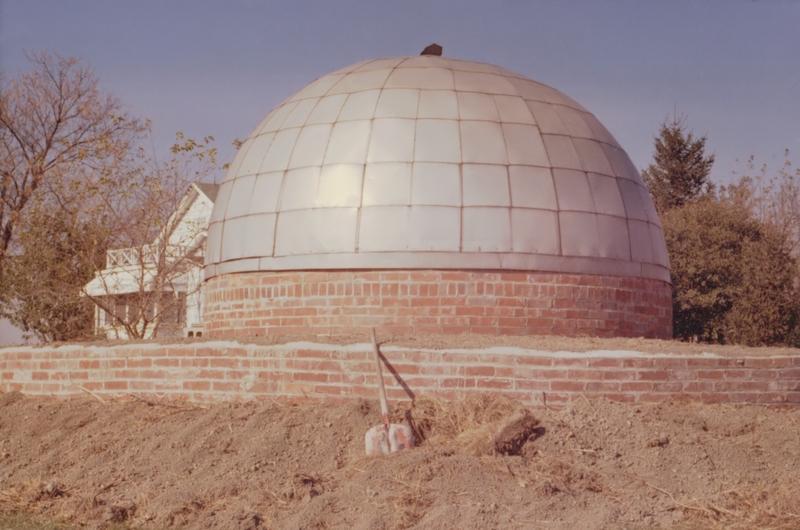 Maidstone Observatory with its 13-foot diameter aluminum-clad dome, in 1963. The official opening was scheduled for April 21, 1964. Assistant Directors: Gus Nyberg, Arthur Rae. This dome was originally built by Daniel Bawtenheimer in 1951.